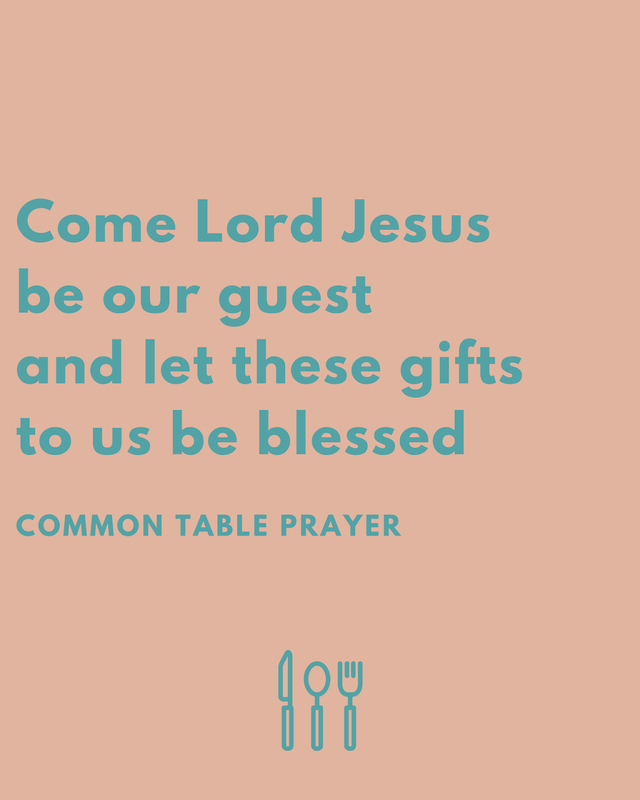 I first heard the Common Table Prayer a few weeks back at a friends house while over for dinner and it stuck with me. 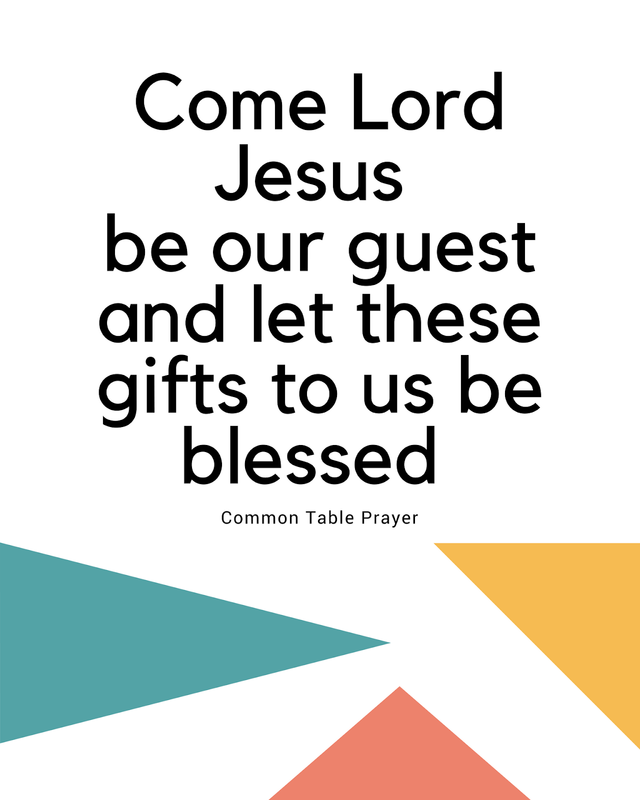 It's a prayer generally said before meals, but really "gifts" is broad enough to cover just about everything. I've been repeating it to myself over and over letting it soak into my bones. 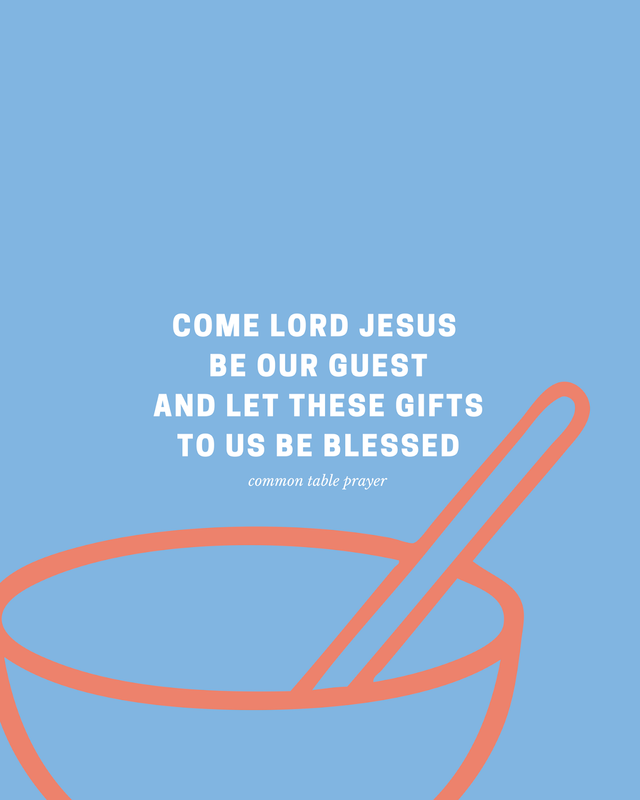 There's an empty spot over our stove that I've been wanting to add some beauty to and when I heard this simple short prayer I knew it had a home there. I searched the interweb to see if I could find something already created by some creative arts and craft christian blogger.... nothing. So I took matters into my owns hands and created these myself, and now I am sharing them with you! Which I guess makes me an arts and crafts christian blogger. 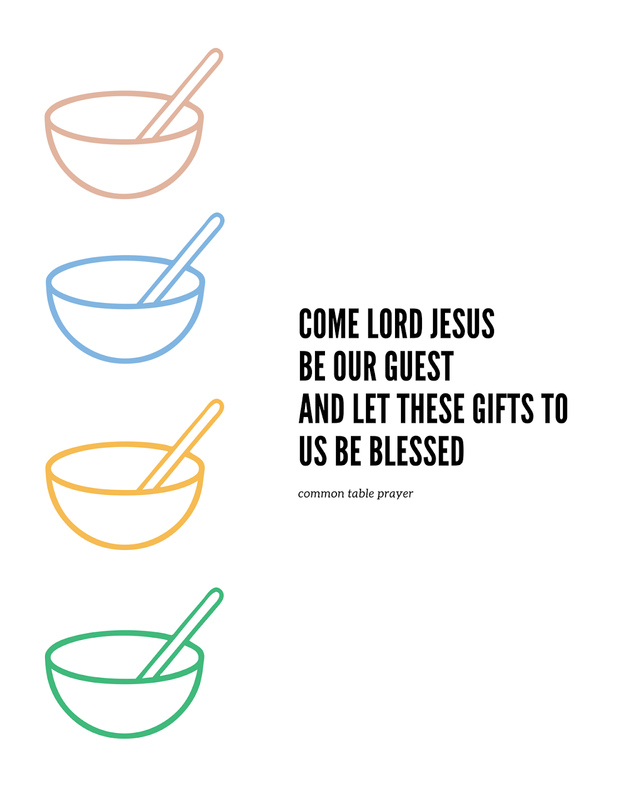 Feel free to download these and hang them up in your kitchen or wherever you'd like a reminder of this beautiful prayer.